HM Submarine No 1, Royal Navy Submarine Museum, Gosport, 2 September 2013 1. The builder's plate for the Royal Navy's very first submarine. 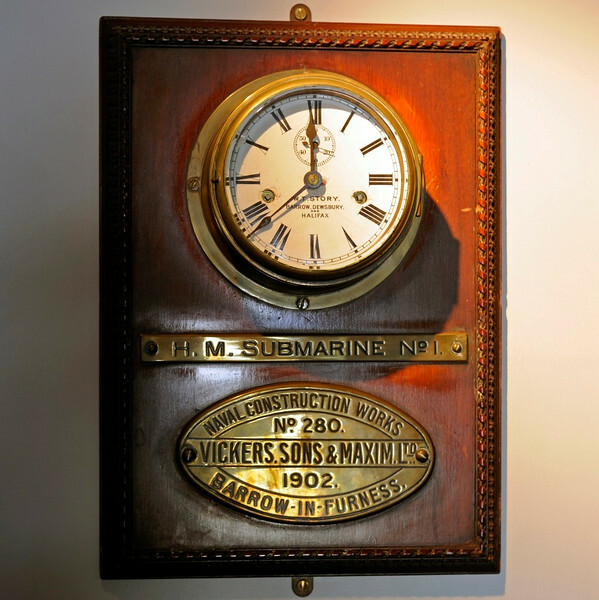 It was also the first built at Barrow, starting a history which continues today, The chronometer was made by W T Story, of Barrow, Dewsbury and Halifax.